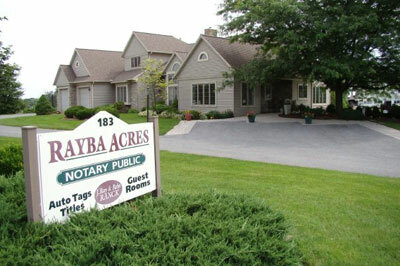 Rayba Acres is two miles on the left. Route 30 East approximately 30 miles to Lancaster. At the end of the freeway, continue six miles to the town of Paradise. Wells Fargo Bank on the left, continue another block to the Quik Market gas station on the right. Turn right at the Quik Market onto Black Horse Road.